It looks unassuming enough from the outside. 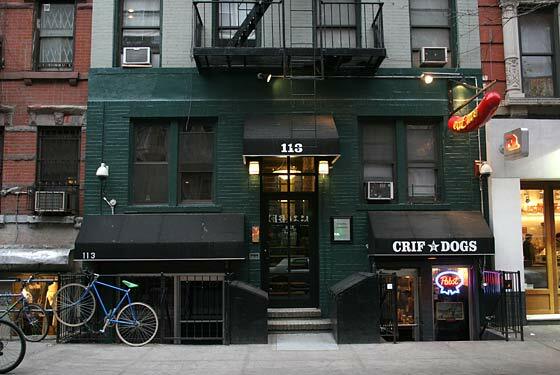 It’s just Crif Dogs, the best hot dog joint in the East Village. And then you go inside, just below street level. It’s not that weird to have a phone booth, but why are so many people using it? So you go into the phone booth to see what all the fuss is about. You press the buzzer – just once – and then, suddenly, the wall beside you opens. You step through it, and you’re inside a secret speakeasy called Please Don’t Tell, with great decor and amazing cocktails. We managed to score a table but word on the street is you need a reservation… this place it always packed.